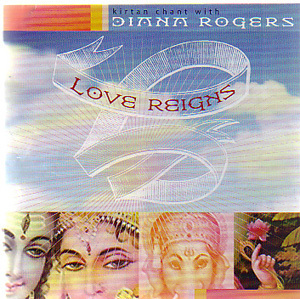 Kirtan has the power to transport us into an ecstatic realm where our hearts are wide open to the divine. Rogers’ warm, enchanting soprano voice brings you into a joyous communion with universal compassion — to a place where all are one, and where love reigns. Produced and accompanied by artist Ben Leinbach, with a kirtan chorus and world instrumentation that features the talents of Jai Uttal, Daniel Paul and Manose.